After the Olympics in Montreal in 1976, there was a big running boom all over the place. I merely jumped into that wagon in 1980. Starting from a very bad shape ( I could barely run one block without stopping..! ), I ran my first marathon after 6 months of training. I was hooked for good! I soon added some bike riding, and then swimming (still a work in progress..!) and started duathlon and triathlon racing, which were rather new sports at that time. 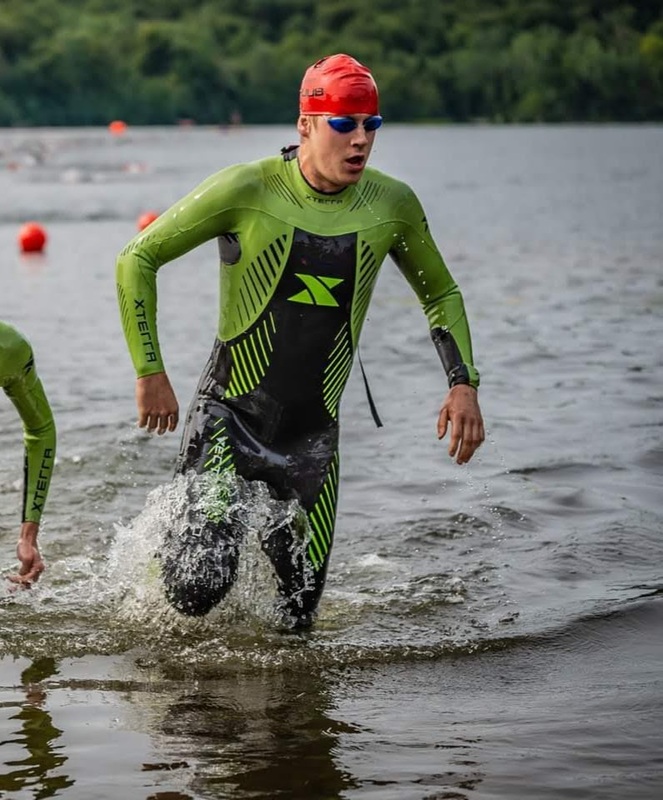 Remember that the very first triathlon race at the Olympics was won by the Canadian Simon Whitfield in year 2000 in Sidney. Anyway, I was hooked again and never looked back. I do like to train a lot and racing season used to be a very busy one for me, from sprint distance up to Ironman. No big surprise there, I like that sport and I am always ready to help newbies with the club. 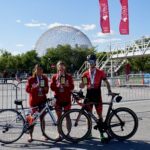 If you have questions about training, or about races on the Triathlon Québec circuit, it is most likely that I did that race a few times. So, feel free to ask and I will be happy to help. 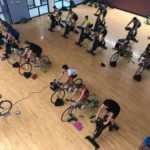 I like the club spirit and all council members are working hard to give you a good training experience, and to get you ready for the next racing season. Take care and have fun while working out hard! I’m a third-year mechanical engineering student at McGill and I joined the club in Fall 2016. 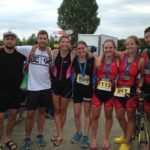 I started doing triathlon at 9 years old when a teacher at my elementary school decided to start a team and asked me to join. 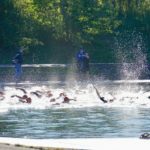 I had never heard of triathlon before, but with the help of great coaches, I wasn’t scared to jump in the water for my first race this summer. I never stopped since then, passing through elite, junior series, national series and now retiring myself into longer distances. 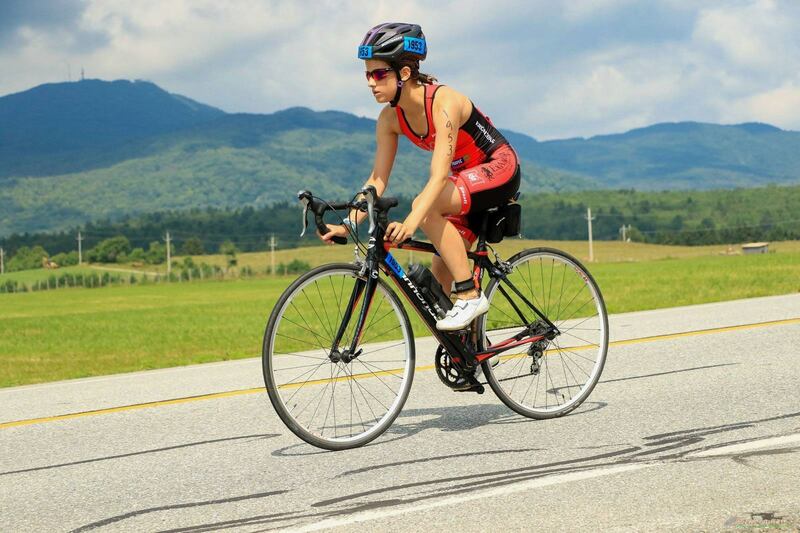 Triathlon is a big part of who I am and it taught me perseverance, patience and stress-management. The MTC is for me a place to make friends while happily suffering, and I can assure you that these friendships last for a long time. If you have any question never hesitate to come to see me, I am always happy to help! I’m a 4th year Honours Anatomy and Cell Biology student at McGill right now, and I’ve been part of the club since Fall 2016. Before joining the club, I had zero athletic experience. I took swimming classes as a kid and in high school we had to do one-mile runs once a semester that KILLED me. I joined the club on a whim to test a way to become healthier, with absolutely no idea it would turn into this truly life-altering experience. I distinctly remember my first run practice when Jean-Luc said we would start with a 15-minute jog. At the time, I could not even fathom running for 15 minutes continuously, and within the first couple of minutes, I was so out of breath that Jean-Luc told me to slow down even though I was already at the back of the pack. Somehow, I stuck with the club, made some amazing friends, and 2 years later I’ve done a few triathlons! For me, the people in the club made all the difference in the world. 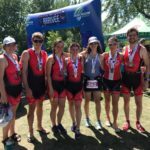 We think of triathlon as an individual sport, but I really do believe it’s a team effort to get to that start and finish line. I’m super excited about being VP Social because I work on fostering this sense of community that has really changed my life! 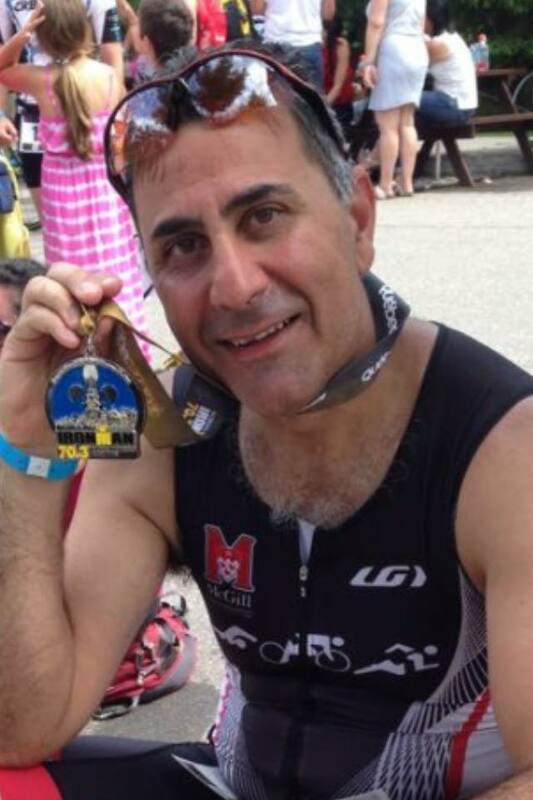 After 20 years of playing soccer competitively, I got into triathlon while training for my first 1/2 marathon after seeing a former soccer teammate completing his 1st IM70.3. With very little experience in free style swimming and even less in open water (I couldn’t even swim 50m free without stopping being out of breath! 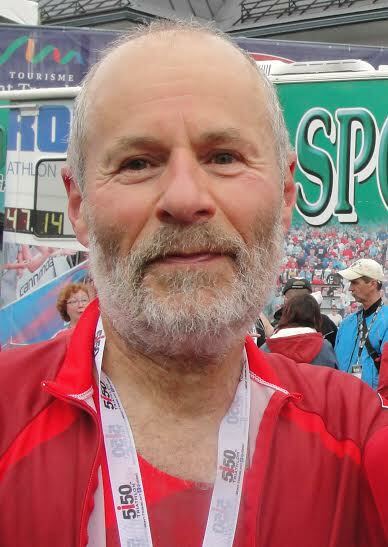 ), the first leg of a triathlon is the one that has always been the most challenging for me. On the other hand, my background in soccer remains a good asset for running. 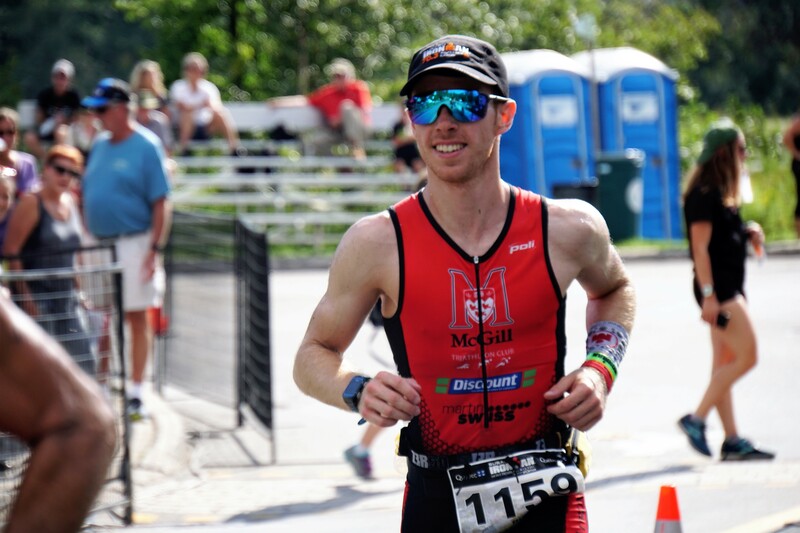 It was only in 2015 that I did my first triathlon, a super-sprint distance using a mountain bike with no clip-on shoes… and then in 2016, I did my first Olympic distance races building up to my IM70.3 the same year. I got hooked on triathlon for constantly challenging me and my limits but also for the patience it teaches and consistency it requires through all the disciplines. Since late summer 2017 when I joined MTC, I loved the club for being a true place for self-development. It provides great coaching and a supportive community of athletes to be with and to push myself beyond to what I would do on my own. 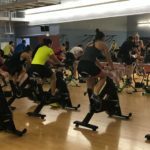 MTC is also very important to me in that it offers facilities to train all year long (and all in one place during winter when it’s harder to be outside and to commute). Always looking to improve and help others, I also like sharing my short experience in the sport. So don’t hesitate to come see me for a chat or if you have questions! I completed my B.Sc. in Neuroscience at McGill in April 2018 and have since been working as a research assistant at the McGill Biomedical Ethics Unit. 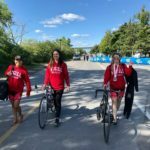 I joined the club in Winter 2018 and have been hooked on triathlon ever since! 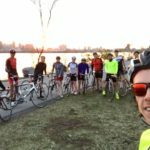 I’ve always been fairly active—I was a competitive dancer throughout high school and a coxswain and rower for McGill’s varsity rowing team throughout my undergrad—but being part of the triathlon club has taught me how to train sustainably and how to make sport into a lifestyle, and not just an activity you do from time to time. I joined MTC in the fall of 2013 after enjoying biking with my wife’s cousins that summer while they were active runners. 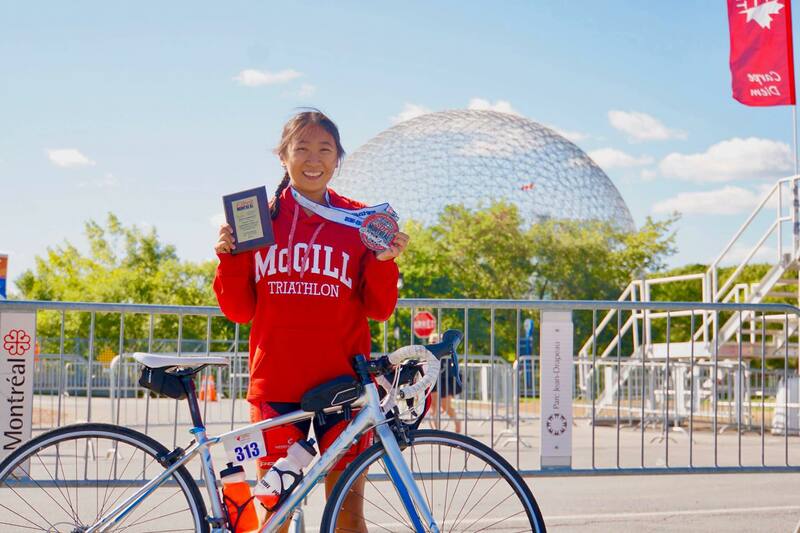 I suddenly got the urge to pursue this further and fell upon the McGill Triathlon Club and I decided to give it a try. I immediately enjoyed it and met amazing coaches and people in this process. My wife has MS with mobility issues and I wanted to be a part of this for her. She tries her best to come to all my races and supports me the best way she can. My very first race was the 5 km in Drummondville in 2014. I’m training very hard to try to compete in the Ironman before I reach the age 50. 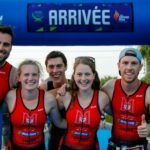 Mcgill Triathlon Club (MTC) is not only for the students of McGill University, but for anybody and any age who is interested in joining the club, training for triathlons and duathlons. As the VP External, I’m seeking out sponsorship for the club to help the athletes in every way possible.